prokaryotes with protection from the environment. 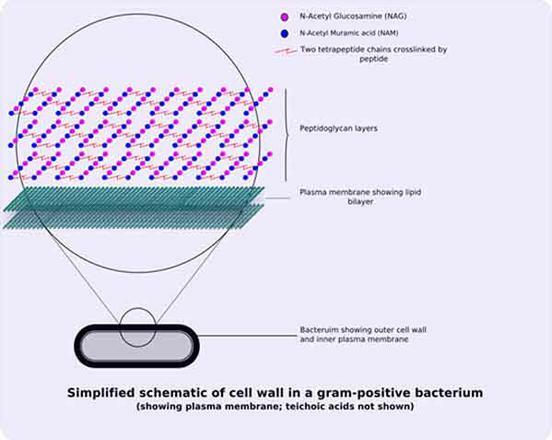 Article Summary: Amount and location of the peptidoglycan molecule in the prokaryotic cell wall determines whether a bacterium is Gram-positive or Gram-negative. You have free access to a large collection of materials used in two college-level introductory microbiology courses (8-week & 16-week). The Virtual Microbiology Classroom provides a wide range of free educational resources including PowerPoint Lectures, Study Guides, Review Questions and Practice Test Questions. 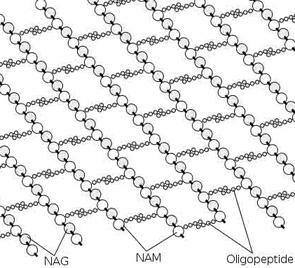 Peptidoglycan is a huge organic polymer; a mesh-like series interlocking strands of sugars -- N-acetylglucosamine (NAG) and N- acetylmuramic acid (NAM) -- cross-linked by short amino acid bridges. 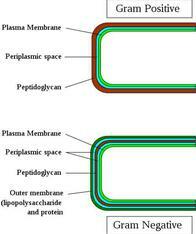 In Gram-positive bacteria, peptidoglycan makes up as much as 90% of the thick cell wall enclosing the plasma membrane. 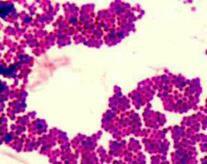 During Gram staining, these thick, multiple layers (20–80 nm) of peptidoglycan retain the dark purple primary stain crystal violet, whereas Gram-negative bacteria stain pink.